What makes a third-party logistics (3PL) provider a blockbuster partner? 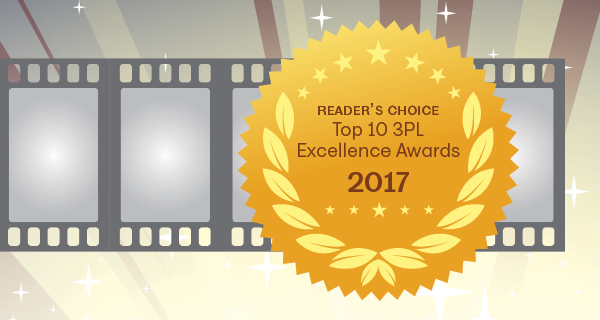 We asked readers to vote for the 3PL partners they deem most award-worthy, and they revealed the hallmarks of a standout performance: reliability, flexibility, and ability to execute. With the global supply chain sometimes too action-packed for even the most seasoned supply chain practitioners, readers are looking for experience and expertise. Indeed, the 3PL role is multi-layered. With plot twists in 2016 encompassing bankruptcies and trade agreement exits, 3PLs need to deliver a masterful performance. The most laudable providers offer years of experience, technology solutions, and the global connections necessary to keep supply chains moving quickly and efficiently. These 3PLs did not receive enough votes to place on this year's Top 10 list, but they have a large following among our readers. "Werner has the best people in the industry with a rich family tradition of exceeding expectations with a vast array of service offerings." *Note: Some respondents selected multiple answers.